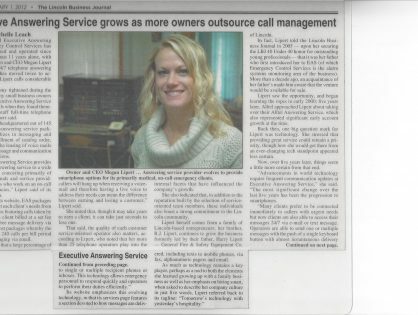 Executive Answering Service is one of the most reputable answering services in the industry, providing live telephone answering service, call center services, emergency dispatch, order entry and outsourcing services for 45 years, locally owned and operated by Megan Lipert-Murphy since 2000. With 24 hour, 7 day-a-week, live operator services, we currently serve more than 500 customers, both locally and nationally. Executive Answering Service works with clients that range from independent, freelance home offices and small businesses to large corporations and medical offices with high call volumes. We are able to offer the quality of service that is aligned with your reputation and the communication technology that your business requires. Our goal is simple: to give our customers the highest quality service, tailored to the specific needs of their business at a fair price – while providing a seamless link between their company and ours. One of the most distinctive differences about Executive Answering Service is our operators. Our turnover rate is one of the lowest in the industry, with several operators having 10+ years of service with our company. We believe happy, healthy employees appreciate and take pride in their work, which results in a higher quality of service for our customers. At Executive Answering Service, we care about our staff and they care about our clients. Not only do we pre-screen our applicants thoroughly via phone and personal interviews to determine communication skills, clarity, grammar, and enthusiasm, but once agents are hired, they are given extensive training. Once an operator goes on live, he or she is monitored regularly and must adhere to a prescribed set of quality standards. This assures that quality is maintained and your company is represented professionally. It’s also the reason Executive Answering Service is able to answer 80% of its calls within the first three rings. Executive Answering Service has combined its highly trained operators with state-of-the-art equipment and software, which allows us to design your account to meet your unique specifications. 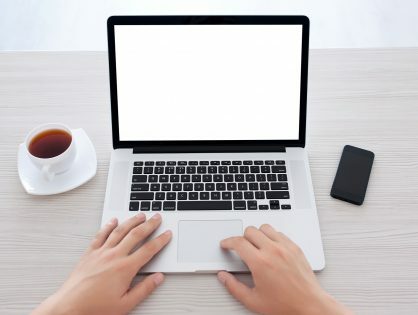 We will begin with a blank screen and design your account according to your exact needs. In addition, our digital switching equipment allows us to provide automatic call distribution and skills-based routing so that we can process your calls in a cost-effective manner. With our natural gas generator and UPS back up power, we have ensured we will operational in extreme situations. Proud Member of BBB and ATSI. Executive Answering Service is pleased to announce that Client Account Manager Michele York recently celebrated her 14th anniversary with the company. Michele was hired as an evening telephone operator and has since successfully held the titles of Lead Operator, Shift Supervisor, and Senior Manager. Michele is the most senior employee, managing the day-to-day operation and reporting directly to the President/Owner, Megan Lipert-Murphy.